We carry numerous books relating to Arts & Crafts and Mission style furniture and reprints of several old catalogues. The books listed ion this page contain general information on Arts & Crafts and Mission style furniture. Books can be ordered by calling us toll free at 866-647-7466 (866-MISSION) or at 610-797-8640. Over 70 pages of black and white photos of Come-Packt furniture including Wicker (Willo-Weave), Lighting and Lace Curtains. 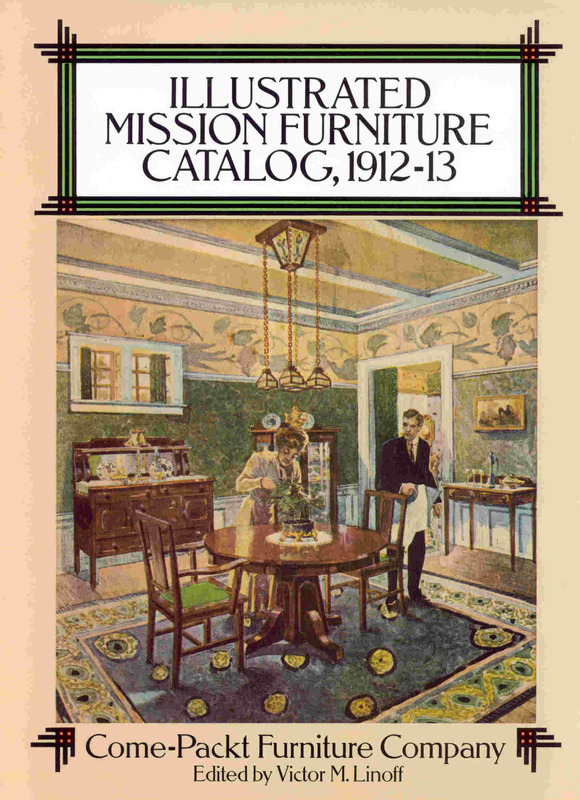 A comprehensive home furnishings catalog from the height of the popularity of Mission design, reprinted from a rare original, illustrating and describing 400 items from beds and highboys to arm chairs and kitchen cabinets, many designed to be shipped knocked-down for reassembly at home. With invaluable information on typical woods, finishes, upholstery materials and colors, and more. 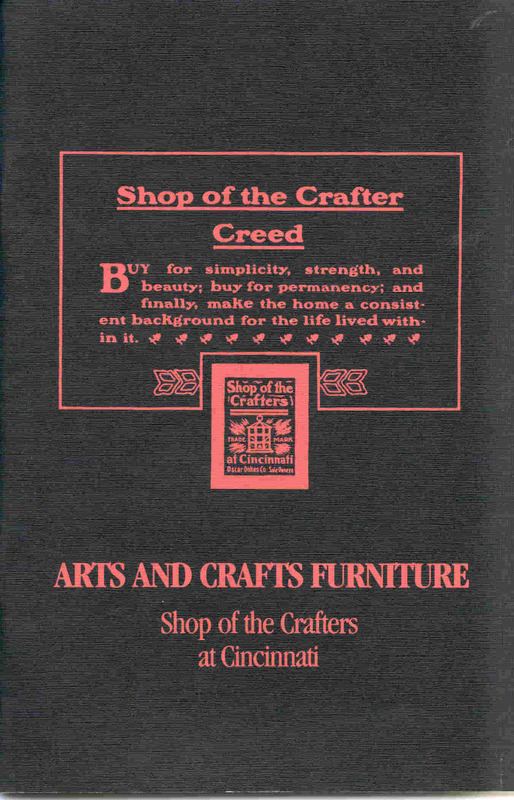 Paperback book, 7" by 10-1/2" with 70 pages of photos of original Shop of the Crafters furniture. Shop of the Crafters had a unique style which many may not associate with the Arts & Crafts movement. This book is a must for anyone interested in this style or if you want to be able to identify these pieces at yard sales and auctions. Of course if you get one of these pieces cheap because you're the only one who recognizes it I hope you'l give me a chance to acquire it from you at a good price. This book conains an 18 page description and history of The Lakeside Craft Shop and an additional 86 page reprint of the 1912 "Art in the Home" catalogue. There are photos and dimension of over 100 piece of furniture and accessories.